Aharon Barak was born in Kaunas, Lithuania in 1936. He survived the Holocaust, first living in the Kovno Ghetto and then in hiding with his mother in the home of a local peasant. In 1947 the family immigrated to Israel and settled in Jerusalem. Barak received his legal training at the Hebrew University of Jerusalem, completing an LL.M. in 1958. In 1963 he completed an LL.D. at the Hebrew University. Barak spent the academic year of 1966-1967 at the Harvard Law School, and upon his return he was appointed Associate Professor at the Hebrew University. In 1974 he was appointed Dean of the Law Faculty, and in 1975 he received the Israel Prize for his research in jurisprudence. 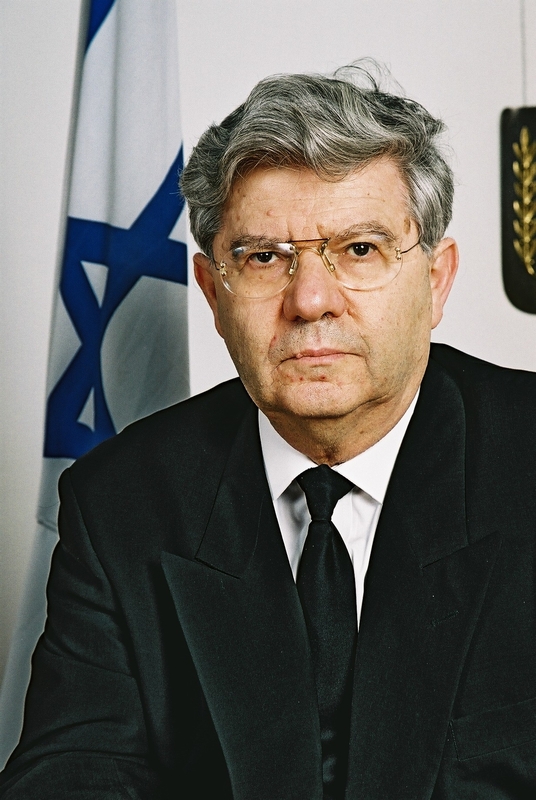 Between 1975 and 1978, Barak served as the Attorney General of Israel. As Attorney General, Barak coined the term "The Buzaglo Test," a phrase which has become an Israeli idiom meaning that the law should treat alike all citizens, regardless of their genealogy or position. In 1978, he was appointed by Israeli Prime Minister Menachem Begin as the legal advisor to the Israeli delegation for negotiating the peace agreement with Egypt. Barak was appointed to the Israeli Supreme Court in 1978. He became Deputy President in 1993 and President in 1995, serving in that position until his retirement in 2006. His 28 years of service on the Court make for an unusually long term, and, particularly during his presidency, it was a period of significant jurisprudential change. For example, during this period the Court eliminated most requirements of justiciability, such as the traditional standing requirement. Most famously, in United Mizrahi Bank v. Migdal Cooperative Bank (1995) the Court interpreted Basic Laws enacted in 1992, one regarding human dignity and liberty and another regarding freedom of occupation, as authorizing the Supreme Court to set aside legislation inconsistent with those laws, establishing for the first time the power of judicial review. Justice Barak is generally seen--by some with admiration and by others with dismay--as a paradigmatic activist or "heroic" judge. Upon his retirement from the Supreme Court, Barak returned to academia, teaching at the Interdisciplinary Center in Herzliya and as a visiting lecturer in various institutions around the world, including Yale Law School, the University of Alabama, and the University of Toronto Faculty of Law. He has published numerous scholarly articles and books (for a sampling, see this site's bibliography) and has received many awards and honorary degrees for his contributions to the field of jurisprudence.